A list of Festivals from around the World! A List of Festivals; whether Unique, Interesting or Bizarre; from right around the World! Festivals of the world can offer you extraordinary experiences and help create some pretty spectacular memories. It is an awesome way to get to know a new country and the people who live there – their beliefs, their traditions, their stigmas, their way of life! It is a great opportunity to simply have some crazy fun; to make a mess or maybe just listen to some music! From truly unique festivals such as Las Fallas in Spain, to some of the best festivals in the world, such as the Holi Colour Festival in India. From Popular music festivals such as Coachella in the USA, to truly beautiful festivals such as the Hoi An Full Moon Lantern festival in Vietnam. We love festivals and usually go out of our way to try and coordinate our holidays so they coincide with a festival whenever possible. Our list of festivals has been compiled through a collaborative effort of other travel bloggers from all over the world. They share festivals that they have actually attended; they share their stories about these celebrations. So join us as we take you on a journey across the borders of the countries and explore the festivals around the world! The Full Moon Lantern Festival is held on the 14th day of every lunar month, located in central Vietnam, Hoi An Ancient Town. 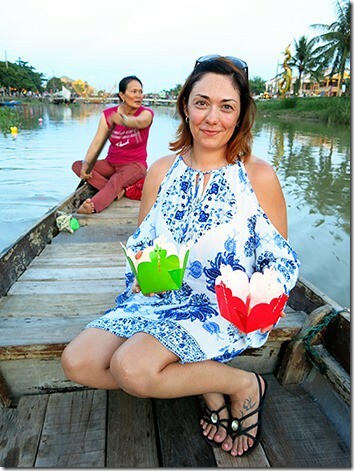 Hoi An is well known for its paper lotus shaped candle flowers that you can send floating down the river to who-knows-where. We made the effort of seeing this all happen on a larger scale at the official Full Moon Festival and boy was it a crazy night!! The amount of people who pour into Ancient Town for this festival is incredible, the vibe is contagious! The little boys pounding away on their drums and running around in dragon costumes are a joy to watch! And by nightfall, you will see hundreds of these paper lotus lanterns filling the river with colour and light!! 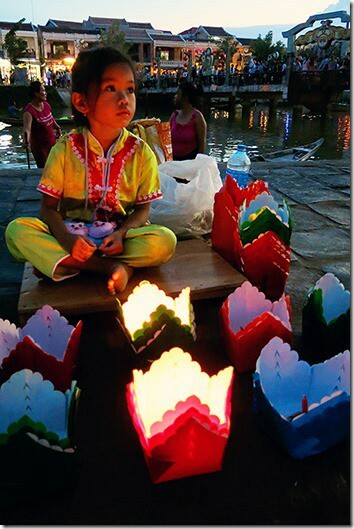 For the locals the Full Moon Lantern Festival is a time to honour their ancestors. You will see alters along the streets, loaded with fresh fruit, flowers, candles and incense. You will also see an activity of burning coloured paper and fake $100 bills as offerings in exchange for good luck and prosperity. For tourists, this night is centred around the river, where you can see hundreds upon hundreds of lit candles set in colourful lantern flower boats float down the river. The best place to witness this activity is from a boat on the river itself, however be aware you will pay higher prices than normal to do so. Don’t forget to make your own wish for good luck and prosperity as you set your lotus into the river and watch it float away to join all the rest! To read more about this enchanting town of lanterns, click here. 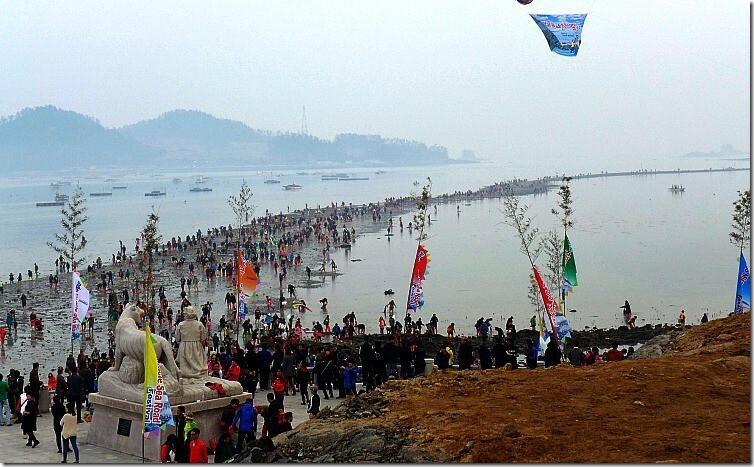 This Sea Parting Festival is held every Spring on a small island in South Korea! Early each Spring, on a small island in South Korea, you can walk across the ocean! That's right! The ocean tide gets so low, it exposes the sea floor and a long snaking path between the islands of Jindo and Modo. The Jindo Miracle Sea Parting Festival celebrates a magical tale involving tigers and an old woman. Tigers once roamed freely on the island of Jindo. When they began to invade, the villagers ran away to the nearby island of Modo. An old woman was left behind and prayed to be saved. The Dragon King answered her prayers and connected the two islands with a road so she could join her family. The festival is more than just walking the 2.8 kilometer sea road. It includes a lively festival of food, drinks, performances, parades, and music. Not only does this festival allow you to witness an amazing natural phenomena; it also celebrates history, family, and the culture of South Korea. If you are interested in attending the Jindo Miracle Sea Parting Festival, the date changes each year to coincide with the tides. It usually happens at the end of March or Early April. Holi, also called the Festival of Colors, is a Hindu festival that celebrates spring and new life. Holi, also called the Festival of Colors, is a Hindu festival that celebrates spring and new life. In ancient times it was a religious festival celebrating the victory of good over evil. There was a king Hiranyakashyap who desired to become the most powerful creature. Once he asked his son, Prahlad, who is more powerful, God or his father & King Hiranyakashyap? The son told him that no one can be as powerful as God, moreover a simple human being. The King got angry and asked his demon sister, Holika, to punish his son. Holika was gifted with a magical power to stay immune to the fire. She decided to enter into the fire with Prahlad, thus punishing the boy while staying safe herself. Since Holika was trying to use her power for the evil purpose, she was burnt to ashes and the boy was saved by Lord Vishnu. Later, Hiranyakashyap was destroyed by Lord Vishnu and Prahlad replaced him as a King to rule the kingdom wisely. 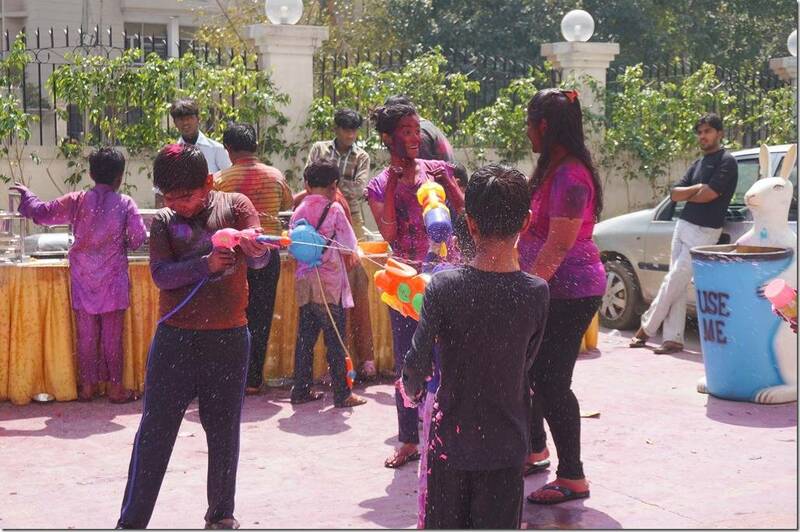 Though Holi has religious roots, it has transformed its concept several times throughout history. Nowadays, during celebration you will see people throwing colors & water on each other, singing and dancing. In the afternoon, there is a special puja (prayer) performed to keep children safe from evil. This day is one of the rare occasions that unite all the people despite their social status, gender, religion or caste. Festival of colors is celebrated in several Asian countries, but it is particularly popular in Northern India. Holi doesn’t have a fixed date as it is calculated according to the moon calendar. It starts on Purnima, the full Moon day in March. This Festival of Lights is held in Malaysia during the Hindu month of Kartik (October/ November). Vivian in front of a Kolam. Deepavali is also known as Diwali, or better known as The Festival of Lights. This is a religious festival by the Hindus, but it is widely celebrated by all Malaysians as a nation. The festival is about how light dispelled darkness, signifying the victory of good over evil. I am fascinated by the beautiful clay oil-lamps and colorful intricate floral designs on the floor called “Kolam”. 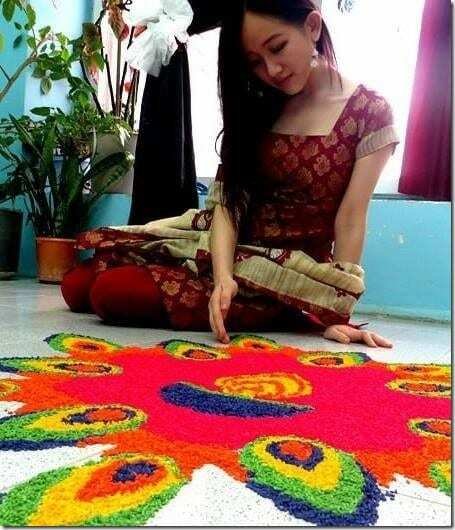 “Kolam” is created using colored rice and powder near the front door to welcome the Goddess of Wealth into the house. Open houses is a tradition in Malaysia. On this very day, people of all races will gather in their Hindu friends’ houses to celebrate Deepavali, sharing laughter over some Indian Traditional Sweets and desserts! One of my favorite snacks: Muruku! This festival is held in Nagano, Japan in January each year and is a festival that holds lots of cultural and spiritual importance. 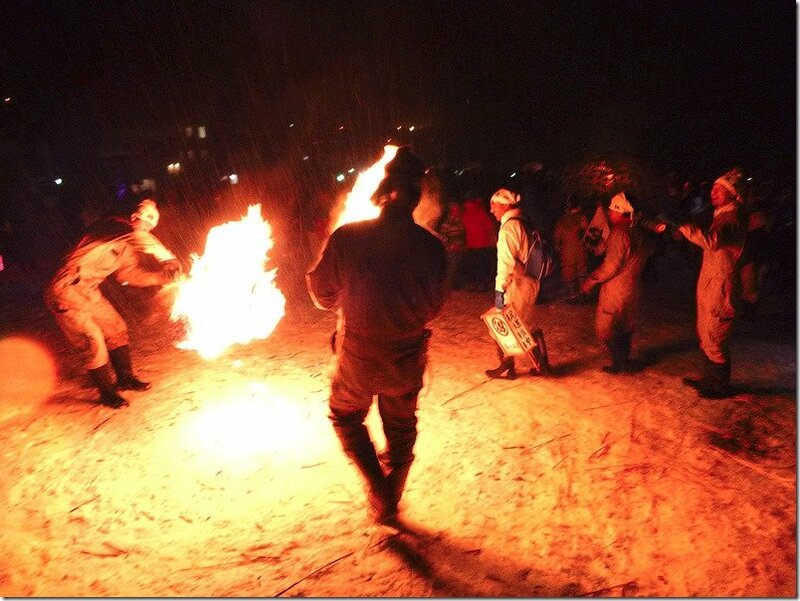 The Nozawa Onsen Fire Festival is held each year on January the 15th in the Nozawa Onsen village in the Nagano prefecture which is located about 4 hour’s train ride north of Tokyo, Japan. As with many crazy traditions it is based on superstition. Each year, about a hundred villagers build a shrine for the festival. Trees are cut and brought down from the mountain starting in October through January 13th before it’s made into a wooden shrine called a shaden. After the shrine has been built, a priest performs a ceremony to endow it with a dosojin (a good god’s blessing). Then on January 15th a “fire-setting battle” is held and the shrine is lit with blazing torches by the offensive team. It is staged by male villagers aged 25 and 42 (which is considered the unlucky ages) to pray for great marriage, to celebrate the birth of a first child, or to dispel evil spirits. It’s a pyro maniac’s festival. The villagers parade around with giant flaming torches, swinging it around hoping to set an unfortunate victim on fire before making their way to the shrine for the final battle. Add to the fact that there are barrels of Sake being served for free on the way to the shrine and you have a scene that can only be described as, pandemonium. Do not wear polyester or a highly flammable down jacket if you are going to this festival and please don’t drive as Sake is served liberally. The Sinulog Festival is a festival held in Cebu, Philippines. One of the main highlights of the festival is a 9-12 hour Grand Street Parade. The Sinulog Festival is an annual cultural and religious festival held on the third Sunday of January in Cebu City, Philippines in honor of the Santo Niño. One of the main highlights of the festival is the grand street parade which lasts for 9 to 12 hours (practically the entire day) with participants coming from the different towns and cities of Cebu and also from some provinces across the country. Millions of people witness the festival each year so there is no doubt that this is one of the grandest events the country has. The word Sinulog comes from the Cebuano adverb “sulog” which roughly means “like water current movement;” it describes the forward-backward movement of the Sinulog dance. The dance consists of two steps forward and one step backward, done to the sound of drums. 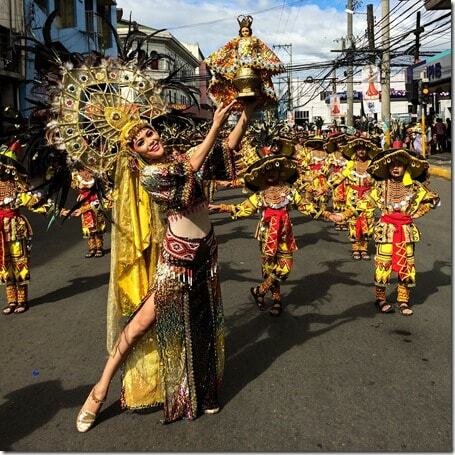 The dance is categorized into Sinulog-base, Free-Interpretation, and street dancing. Candle vendors at the Basilica continue to perform the traditional version of the dance when lighting a candle for the customer, usually accompanied by songs in the native language. The historic event where the Sinulog Festival is based was on April 7, 1521. Fernando de Magallanes, a Portuguese navigator, landed on Cebu and claimed the area in the name of the King of Spain. He gave the Santo Niño to Rajah Humabon’s wife, Hara Amihan as a baptismal present. Rajah Humabon was Cebu’s ruler at that time. In honor of Carlos I’s mother, Juana, Hara Amihan’s name was changed to Queen Juana. 800 natives together with their rulers were baptized into Christianity. “Viva Pit Señor!” That’s what you’ll hear people chant in a Sinulog Festival where the streets will become full of people, tourists and locals alike, street dancing splashing paints and beers. The participants in the Sinulog Festival wear bright-colored costumes and dance to the music made by trumpets, native gongs, and drums. 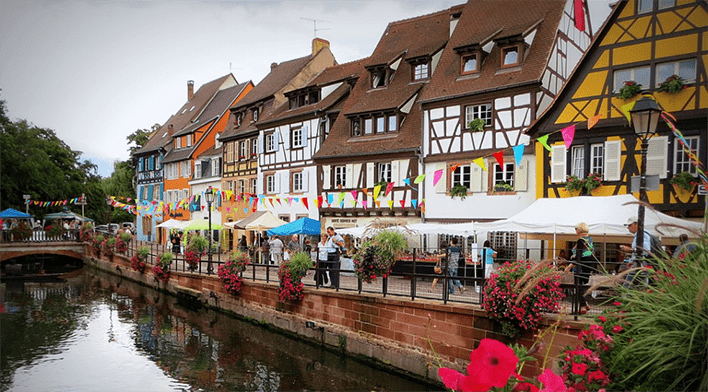 This festival located in France also happens to be one of the biggest festivals in Europe! By Mark from Wyld Family Travel. 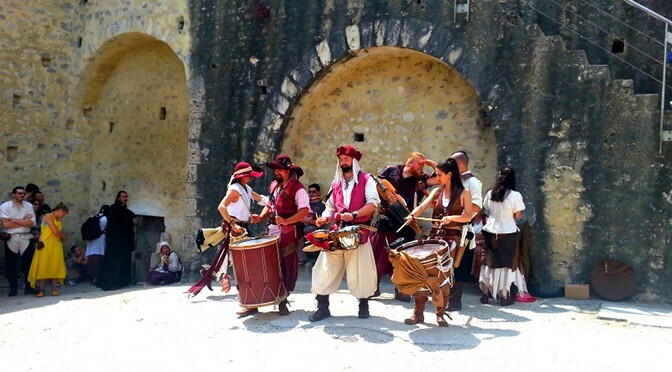 Provins Medieval festival is held once a year in the UNESCO world heritage site of Provins. 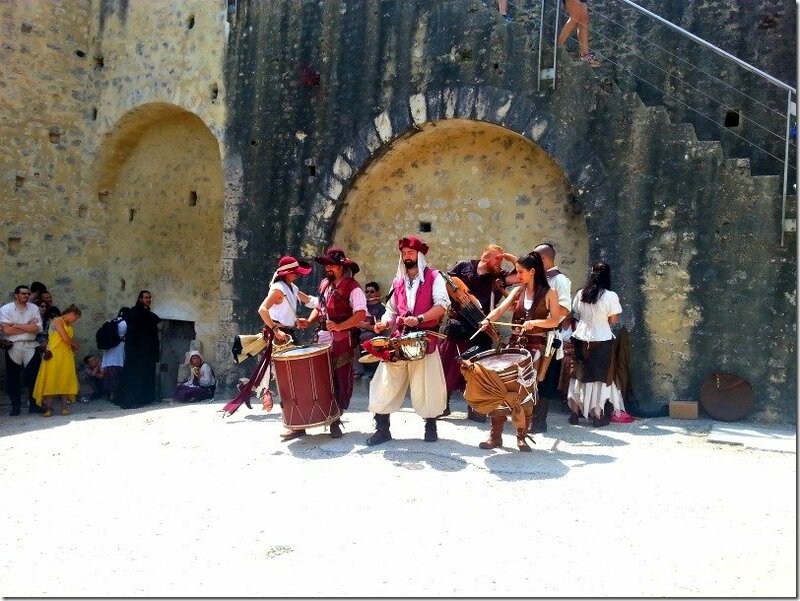 The festival celebrates all things medieval and has a different theme each year. Last year when we attended the theme was childrens’ games in medieval times. The festival is held over a weekend in June every year. The festival is a 2 day event of epic medieval proportions. People dress in costume, bands play music from the period, markets stalls, activities and food all from the a bye gone era will wizz you back to the medieval age. Our kids had a ball trying out calligraphy, archery and medieval ball games. It’s amazing there with activities and events in every direction. Stadium shows are also available at Provins where you can witness jousting events, birds of prey and war games from the middle ages. Provins is located 1 hour from Paris by train. If interdependent travel to the event is not your thing there is day trips from Paris available and accommodation in the town. This festival located in France also happens to be one of the most famous carnivals of the world! Set along the Mediterranean coastline of Nice, France, the Carnival de Nice is one of the world’s most famous Carnivals. The two-week event is comprised of two parades, the carnival parade featuring 18 floats designed after a central theme and a flower parade that features 16 floats made from around 3,000 flowers each (most of which are sourced from the Nice region). 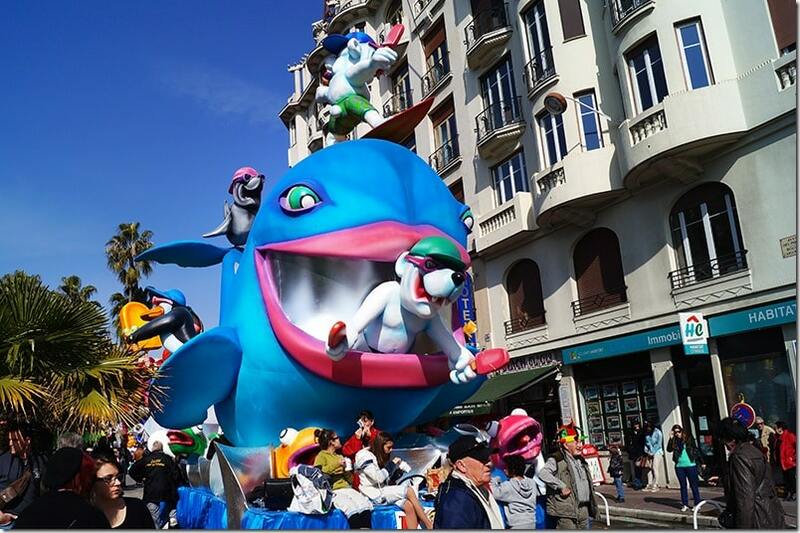 As the largest winter event in the French Riviera, the Carnival de Nice draws over a million visitors each year. We attended the Carnival in 2013 while traveling in Europe. Beyond the colorful floats and thousands of musicians/dancers, we really enjoyed interacting with the festival goers from all over the world. Whether we were having a conversation with them about our travels or battling each other in a silly-string battle, we always had a smile on our faces. While the Carnival was our main reason for visiting Nice we also enjoyed wandering the city. Especially taking in the view of the Côte d'Azur from Castle Park on top of the Colline du Château. The next Carnival theme is “King of Energy” and is set for February 10th to 26th, 2017. This festival is found in Lyon, France and is a popular choice to see a festivals of lights. The Festival of Lights is a huge festival thrown annually in the French city of Lyon. Lyon has lots to offer as a destination of its own, but once you throw in amazing light displays, crowds flock to this lovely city in early December every year. The attractions at the Festival of Lights differ every year, but most of the exhibits consist of colorful and unique light shows splayed across the public areas and governmental buildings of the city. In 1643, Lyon was struck by a horrible plague and people prayed to Mother Mary, promising to pay her tribute if she would save them. They then erected a statue in her honor, celebrating its installation by taking to the streets with candles and lanterns. The tradition stuck, except now Lyon has become an entire city of spectacular light shows and displays. Residents still continue to put candles in their windows and hang signs declaring “Merci Marie!” to show their gratitude. Every little park or bridge across the Rhône is lit up in fancy colors. In order to make sure you’ve seen everything there is to see, you can pick up a map of the festival and walk around the city to find the different light shows. When I visited the Festival of Lights in 2013, the best exhibits consisted of an enormous Ferris wheel on which French short films were displayed, and – my personal favorite – the Petite Prince show that lit up City Hall! Las Fallas is a festival held every March in Valencia, Spain where the main focus of the festival centres of fallas (artistic monuments). by Caitlin from A Girl Abroad. Las Fallas is a festival held every March in Valencia, Spain. The festival has many elements that span across a few weeks from the start of the month – parades, dancing, fireworks – but the highlight? Well, that’s the fallas that line the streets and what give this festival it’s name. A falla is a monument. An artistic one. One that I’m sure takes many man hours to build. Some of them are beautiful. Some look terrifying. Others are just plain hilarious. There’s always a large, main falla within each neighbourhood, generally with satirical themes. A smaller (children’s) falla is located nearby. 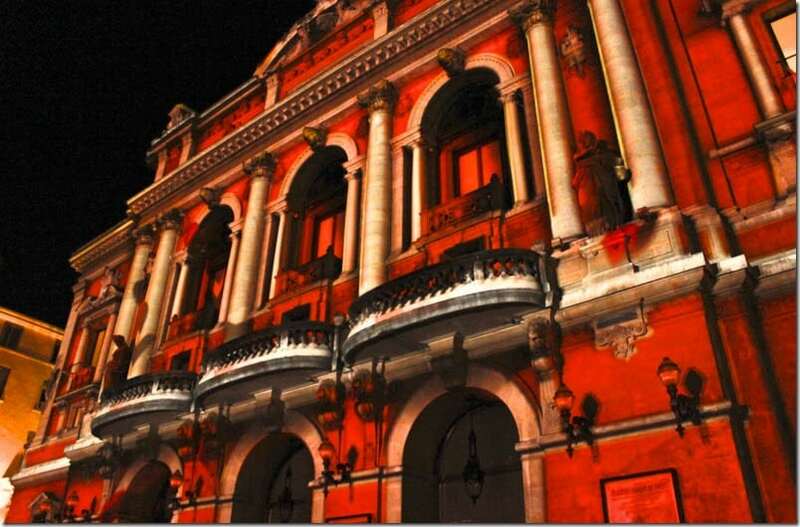 The festival culminates on March 19th with La Cremà – the burning. Starting around 10pm, the children’s fallas are set off. 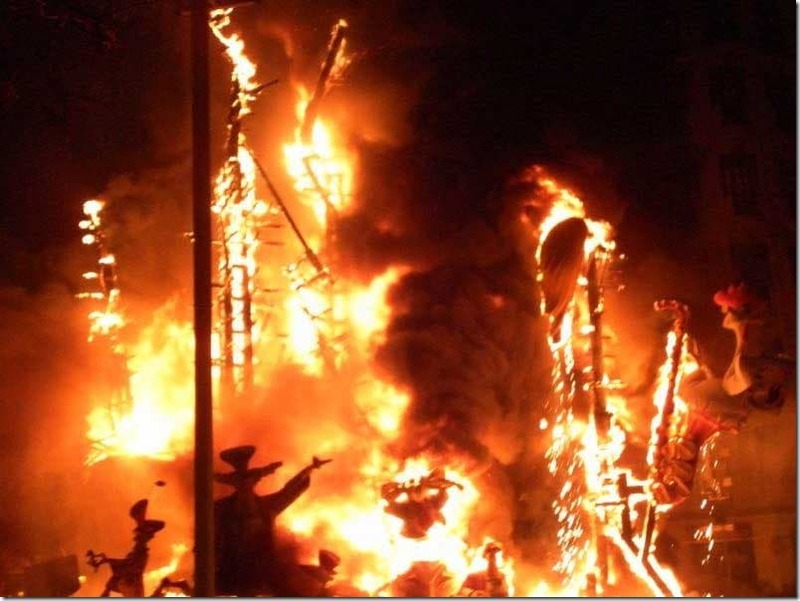 From midnight, the main fallas are burned to the ground. Each of the fallas are filled with fireworks, and the setting off of these represents the beginning of the show. Following this, the whole monument is burned, until nothing remains. It’s quite a show to see! If you’re planning to head along to the festival, you’ll need to spend a few days in the city (the various accommodation options typically set a minimum number of nights to stay), but there’s plenty to fill in the time up until the 19th. With fireworks every day from the 1st, and all the installations going up from the 15th (of which there are hundreds to see), along with the offering of flowers in the Plaza de la Virgin, you’ll never be bored. Where in the world can you join over 250,000 people and think: ‘finally I have found my tribe’? How about listening to a Sunday sermon in the rain by the Dalai Lama? Or finally finding the secret underground piano bar that is literally dug in the mud? I am talking about the Glastonbury Festival of Contemporary Performing Arts of course. The festival is held (almost) every year in June in the small hamlet of Pilton (which is near the town of Glastonbury), Somerset, England. Glastonbury has been going since 1971. It’s the only festival that sells out before the official line-up is announced. Why? Because there is so much more to the festival than the headliners. Do you fancy Nepalese meditation lessons? It’s there. How about worshiping in the mosque tent? It’s there. Fancy dancing the all night in the tilted (yes, it’s on a slant) disco? Go for it. The vibe of Glastonbury is legendary. 78% of attendees are returning visitors, which says it all. The crowd is a diverse mix too. You will see families, original 60’s hippies, hipsters, city folk, country folk, straight, gay, the lot. There is very little crime, I think at last year’s festival there were 60 arrests for small misdemeanours. In fact the police join in the fun too, you will often see them walking around with fairy wings on! Of course the music is the main draw. Anyone and everyone has or wants to play there. They play at a reduced fee too as lots of the proceeds go to charities, like Greenpeace, Wateraid and Oxfam. With over 100 (yes 100) stages there is enough choice to satisfy the most picky of music fans. However, Glastonbury is not for the faint-hearted. 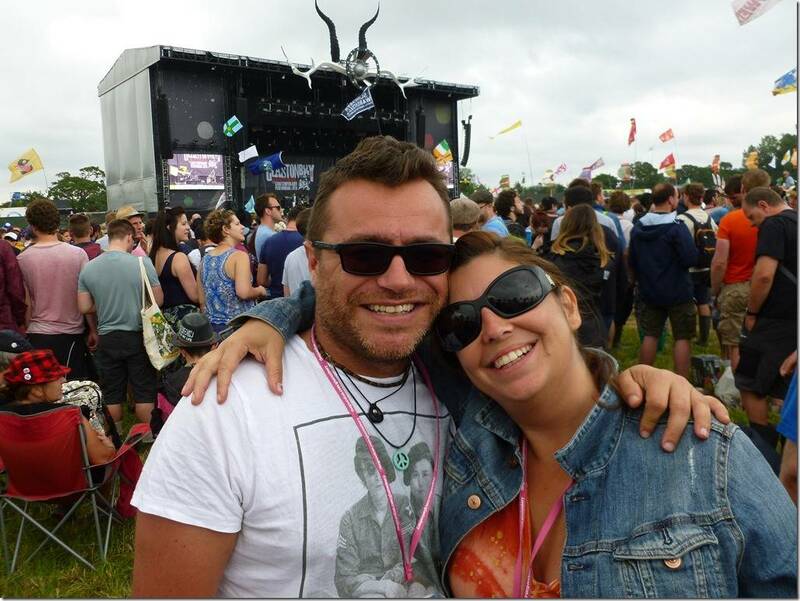 Trying to cover 900 acres over 5 days means attending Glastonbury is a marathon not a sprint. My advice is to slowly immerse yourself into this magical place and see where the wind will take you. 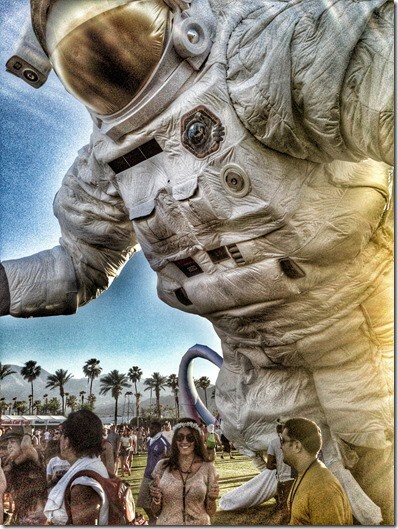 The Coachella festival is an indie festival located in Palm Spring CA, US. Coachella is the main US Festival. Created in 1999, the festival offers 2 rounds. Weekend 1 is the 2nd weekend on May and weekend 2 is the 3rd weekend of May. Coachella like its name indicates is at Coachella Valley in Palm Springs CA. It was first an indie festival and it became, with the years, a festival that welcomes all kind of music from Indie to Hip-Hop to Dance from all decades and it succeeded to attract all of the best artists and musicians from around the world. Everybody can find what they love and this is why Coachella is very popular. The other reason of the success is the setting. The Festival field always has that huge wheel but every year there is a new theme and new art pieces. I have been going to the festival for the past three years and every year there is what I call a guiding light. In 2015 for example, it was a worm that on the last day became a beautiful butterfly. In 2014, it was a Moon Man that was wondering around during the whole festival. Coachella is now a festival where food trucks are gourmet stands, fashion brands wants to be present , music lovers want to go to at any price and artists want to perform at to make an impression with amazing performances and unexpected collaborations. We all remember that hologram performance of Tupac in 2012. Thank you to all our fabulous contributors for taking us on a journey to all the festivals around the world!! When you are booking your next holiday, make sure to look up whether the country you are visiting have any interesting festivals on the go whilst you are there! Do you have a favourite festival that you love attending? If you could choose from our list of festivals, which one would you choose? Is there a festival on your list that you really badly would like to attend? Trips Ideas for a Once in a Lifetime Honeymoon! 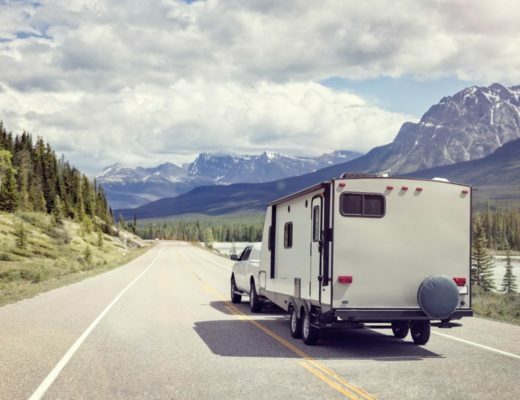 Best Family RV Trip Ideas: Where to Go with Your Kids!